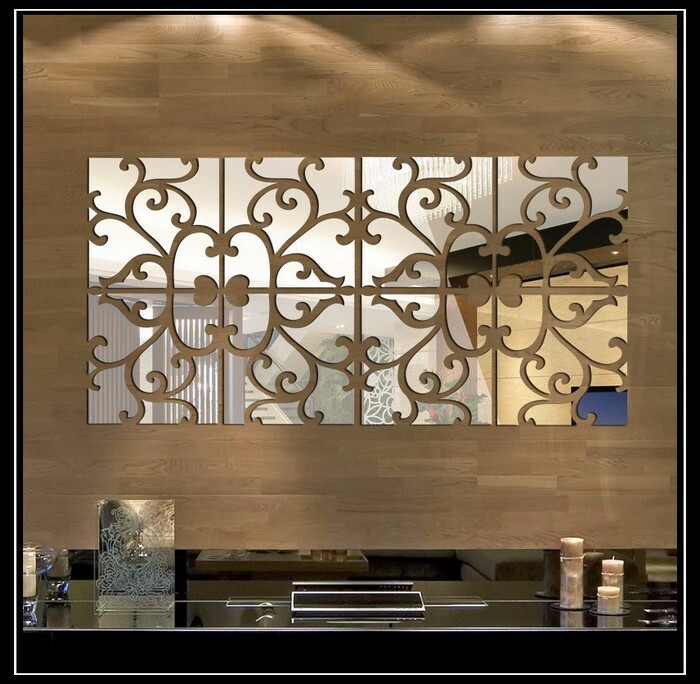 Nowadays a mirror wall can be created from a wide range of materials, including mirror tiles and plastic mirror panels, which we discussed in the previous post. But there also materials that have inferior reflectivity as compared to real mirrors, but the effect they create is also impressive. 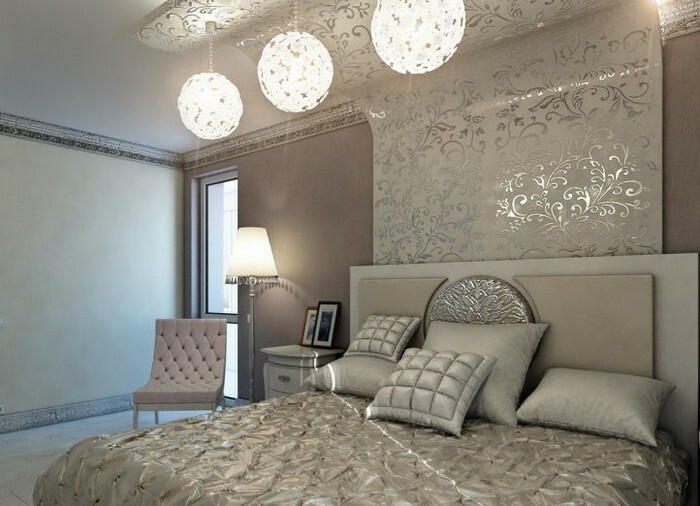 Let’s talk about mirror-effect wallpaper and stickers and their use in interior design. 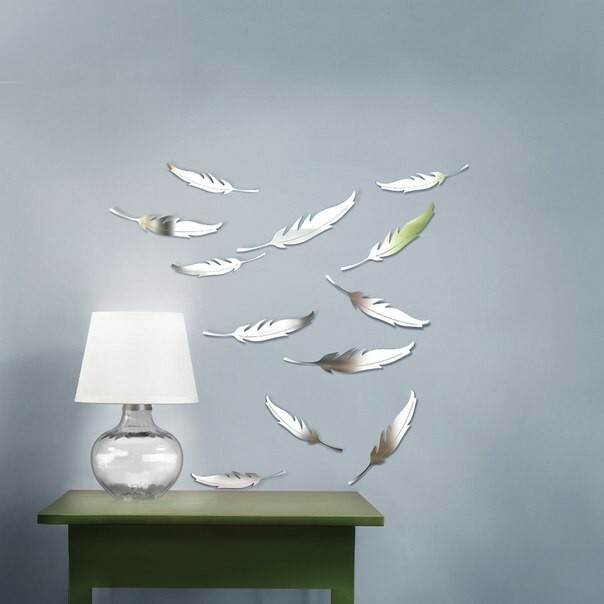 This amazing “mirror” roll is created by means of adding small quantities of metal: the wallpaper surface is coated with the thinnest layer of aluminum foil and special transparent lacquer. This fascinating material looks truly gorgeous in the interior, but so far it’s a very expensive undertaking. The technology allows making any possible pattern on such wallpaper, which enhances the feeling of reflection and a 3-D effect. Such surfaces are resistant to sunlight and high humidity: they don’t fade in direct sunlight and can be used in bathrooms and toilets. 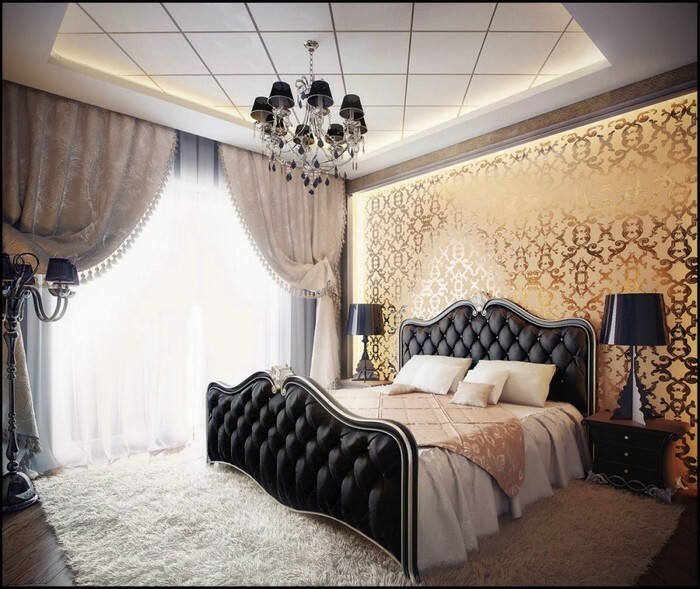 Mirror-effect wallpaper is perfect for zoning the space of the room, especially for highlighting headboard walls and fireplaces. 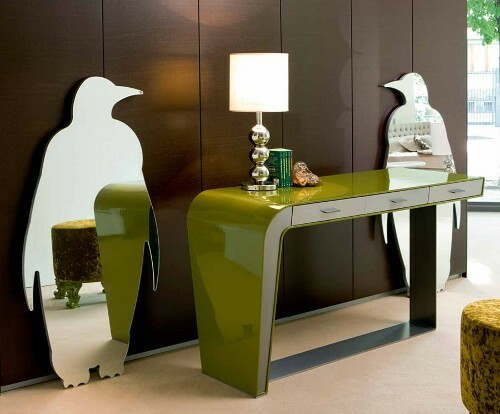 Let’s say at the very outset that mirror stickers can hardly undertake the key function of a real mirror – the reflections they create are quite distorted. Anyway, they are very good at creating fragmentary mirror décor and enhancing the level of natural and artificial lighting in the rooms. 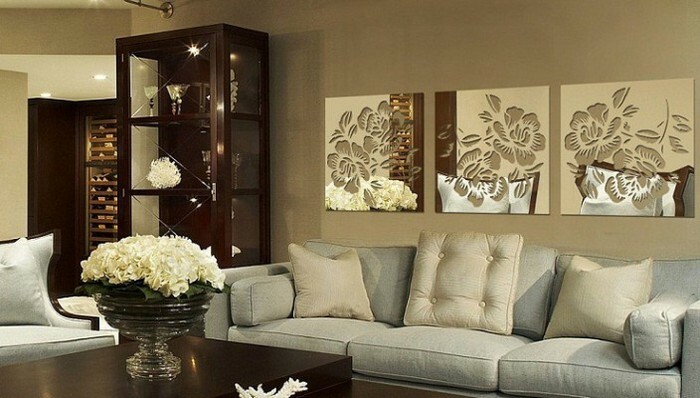 Designer use mirror stickers to make beautiful accent compositions on flat walls or emphasize definite architectural elements of the layout. 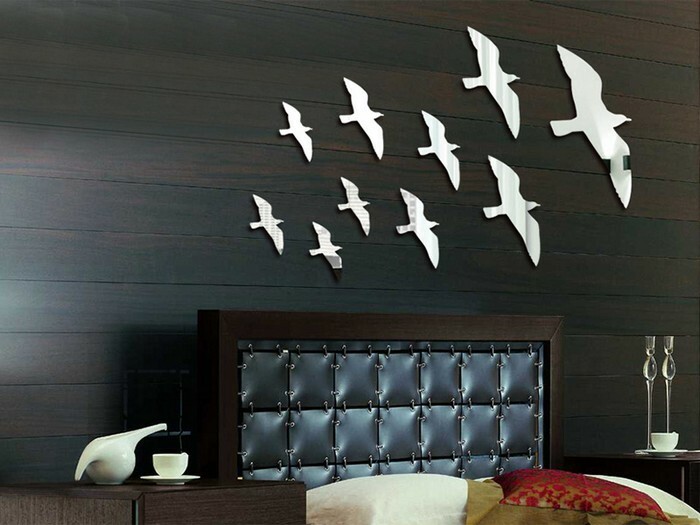 Sticking them to the wall is not too simple – you’d better be careful to avoid wrinkles. 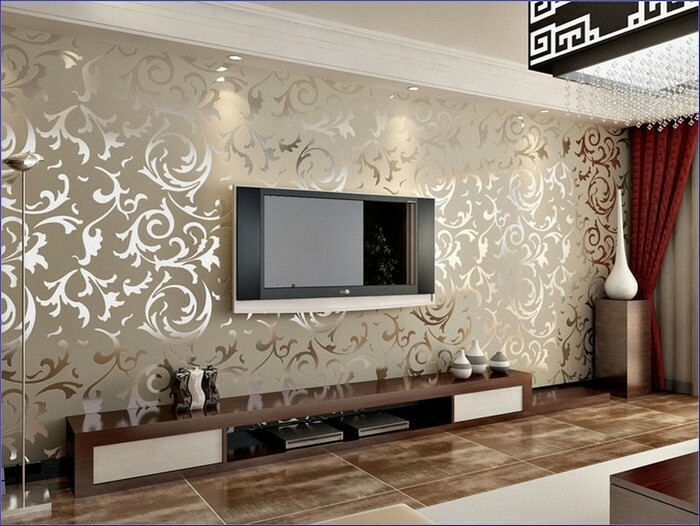 As for the wall surface, it can be common wallpaper or decorative plaster – mirror stickers can be applied to any surface with a special sticky tape. 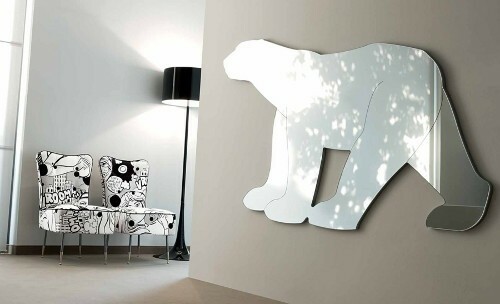 Remember that acrylic mirror stickers are considered to be the most durable and high-quality.